Azure IoT Hub is now fully integrated with Azure Monitor and Azure Resource Health to provide you with rich, frequent data about the operations of your Azure IoT Hub, and diagnose problems quickly. We also deliver actionable and relevant guidance to reduce the time you spend in diagnosing and troubleshooting issues with your Azure IoT Hub. Performance issues in your IoT solutions can impact your business. It is important to monitor the health of your resources to ensure that your IoT solutions stay up and running in a healthy state. We can help you achieve that goal with Azure Monitor and Azure Resource Health. 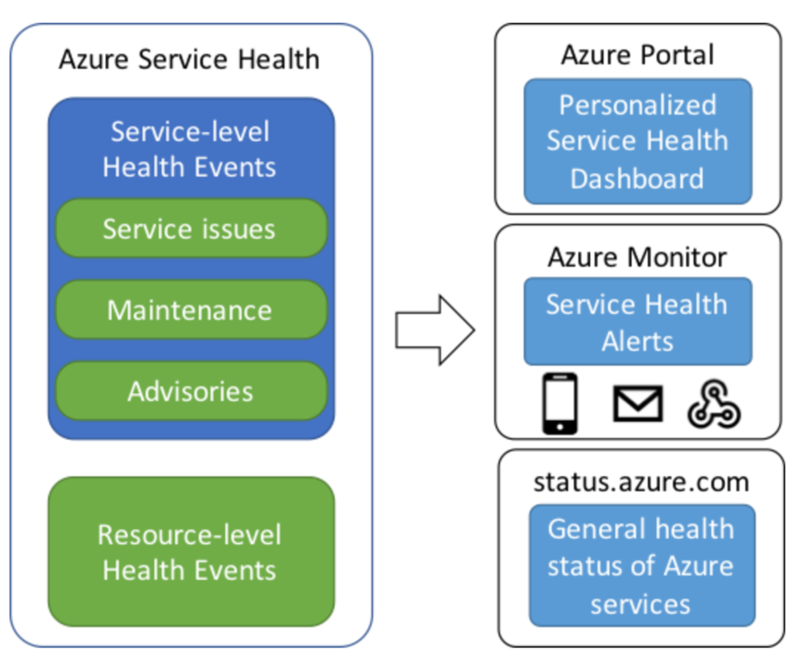 In case of an Azure event that can impact your resources, for example a planned maintenance or a platform issue that impacts your IoT Hub, Azure Resource Health helps you diagnose issues and get support through a personalized dashboard with current and past health status. It also provides details on the event, describes the recovery process, and enables you to contact support even if you don't have an active Microsoft support agreement. 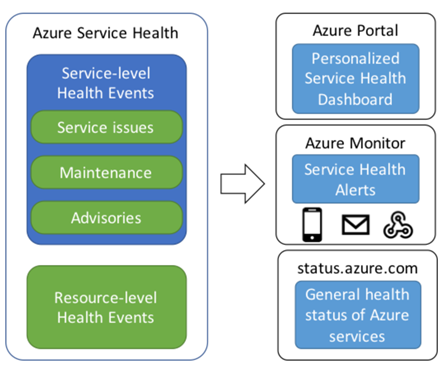 Azure Resource Health is now available in your Azure IoT Hub for Azure public cloud. Azure Monitor provides a single source of monitoring and a common logging platform for all your Azure services with the ability to send logs to OMS Log Analytics, Event Hubs, or Azure Storage for custom processing. With Azure Monitor, you can get a holistic view of your Azure IoT hubs and devices connected to it through metrics and Diagnostic Settings, and get real-time visibility into issues occurring in any resource in Azure, all in one place. On October 10, 2018, we will be deprecating operations monitoring functionality in Azure IoT Hub since Azure Diagnostics Settings makes the Azure IoT Hub's operations monitoring feature obsolete. Note: This deprecation only applies Azure IoT Hubs created in the public Azure cloud, as well as in Azure in China, Azure Germany, or Azure Government cloud. Customers using Operations Monitoring on the Azure IoT Hub can now use Azure Diagnostic Settings to monitor the status of operations on their Azure IoT Hub. Once you collect the data through metrics and diagnostic settings, Azure Monitor gives you the capability to use it in various ways. You can stream the collected data to other locations in real time, store it, query it, or visualize it by using Azure Portal, Power BI, or 3rd party applications. You can even use monitoring data to trigger alerts to execute other processes. We recommend that you switch to using Diagnostics Settings on the Azure IoT Hub, to ensure there is no interruption in log collection for your Azure IoT Hub when the operations monitoring functionality is removed. Follow these migration steps before October 10, 2018 to ensure no interruption. You will also receive email reminders from us regarding these changes. October 10, 2017: The public announcement of the deprecation of Operations Monitoring on Azure IoT Hub for Azure public cloud. November 15, 2017: The public announcement of the deprecation of Operations Monitoring on IoT Hub for Azure in China, Azure Germany, or Azure Government cloud. March 10, 2019: Operations Monitoring will be removed from all Azure IoT Hubs. 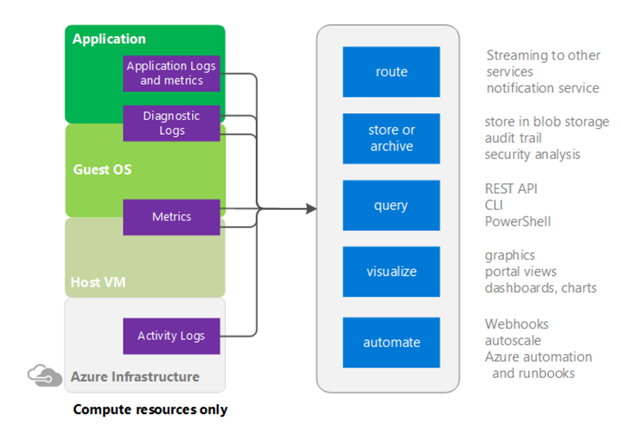 Don’t delay in using these new tools to monitor your Azure resources. Find problems before your customers do! Learn more about monitoring your IoT hub.